On Thursday January 5th, I was trying to read the Seth Schiesel column on the front of the Arts section of the New York Times. After a few paragraphs, it said, “Continued on Page 5,” and my fingers made the natural leafing gestures to get me to five (no matter that I am used to Schiesel having large and merited front-page display). But “page 5” turned out to be “C3B” and a full-page ad for The Descendants. In fact, I was lost in a jungle of C3s—enormous promotions for Rise of the Planet of the Apes, The Tree of Life, The Ides of March, The Iron Lady and The Artist (that was the Weinstein Company splitting a page), Moneyball, My Week with Marilyn, and another split page for Drive and The Help. Help, indeed! I’m mad as hell and I’m not going to take it quietly any more—not that I am ready to accept this as my madness. This is a season of insanity, the awards season, that spells out the sorry state of movies and moviegoing. The Oscars have existed since 1927, and anyone who feels sweepstaked into watching their show knows that the life and the need have been leaking out of it for the best part of twenty years. The viewing figures are in decline. The home audience has often not seen the films in contention. They have not heard of all the people who are coming on to do the presentations. They feel shut out of the inside jokes. The Academy Awards are like the Dow: it may rise and fall day-by-minute, but it’s not worth watching because it doesn’t begin to tell the true story of the economy. And the Academy, while being the most illustrious of the award-giving entities, knows in its heart that the fun and the culture of movies are over. They also know that their status has been so eroded you half expect the Oscar statuettes to turn into Chucky bobble-heads as the winners clutch them to their hearts. The competition is not just the Golden Globes (a startling triumph of public relations over reality—can you imagine what Ricky Gervais will do this year?). It’s this guild and that guild, it’s newspapers and blog sites, and it’s all part of the dementia of lists —the ten best kisses in movie history (or just plain history), the five ways you know your spouse is cheating on you, the seven best ways of scrambling eggs, the best road accident of the year, the six most successful conviction-free scandals of the summer, the one member of Congress with self-respect (one is a number too), the seven photographs of Lindsay Lohan she’d like to destroy (or intends to have taken), the twenty most upsetting but beautiful pictures of famine in Darfur, the eleven most memorable drug-induced suicides. Why eleven? Why not? Eleven is a number like any other. I hate this anti-eleven-ism. The nine most tasteless jokes by Ricky Gervais? Or your three preferred ways of dying? I quoted Howard Beale (Peter Finch) earlier from Network because I had him in mind after reading another Times piece from a few days earlier, about the Iowa caucuses, in which a lawyer in that state had realized—and I’m quoting inexactly—this is a very important election, “Because this person is going to be on TV all the time as president.” You knew the presidential election had to be about something. Thus we live in the legacy of Howard Beale. When he’s told in Network by the Ned Beatty character (an infinite tycoon) what message he should deliver, Beale asks, “Why me?” and the answer comes back, “Because you’re on television, dummy!” Those were the days—when television was something better to be on than a broken roller-skate. The ads in the Times are heavy with golden quotes, and few of those lines are written without the critic wondering, “That might get in the ads”—and save everyone the time and trouble of seeing the film. But what difference is there between this insanity of movie votes and ads and the Iowa caucus, where we are supposed to be anxious whether Mitt or Rick is ahead by seven or thirteen votes from the fraction of Iowans who came together that night? The listing of the best films of the year begins right after Thanksgiving, when the voters have not seen all the films in contention. It will go on through the end of February, just as the picture business puts out what it regards as its best work in December and its most forlorn product in January. The theory goes that enough awards boost the audience for a film, but the evidence for that is very questionable. It’s far clearer that the New York Times benefits from the frenzy (ten years ago their revenue from movie advertising was already $100 million a year—and I want the Times to benefit and endure), just as the various guilds, magazines and blogs get their second or so of attention. I have no hope that this process can be reformed or deterred. It is a momentum set off by the Internet, the most serious vulnerability that this country and our world have ever faced—because it has become an unquestioned and irreversible orthodoxy, a huge convenience, fun, and a way of demeaning discourse. Almost the only human or institutional activity thriving in the United States now is insanity. But I care about movies, and I admired George C. Scott rejecting nominations for The Hustler and Patton. If you want another argument, in her recent biography of Rin Tin Tin, Susan Orlean says there was a year the nifty Rinty got the most write-in votes for best actor—but the Academy felt that award would lack class. We are headlong in a rush over the cliff’s edge, with lists and bests that may eventually destroy the Academy. That will be a disaster because that same body possesses one of the best research archives on film and its history. 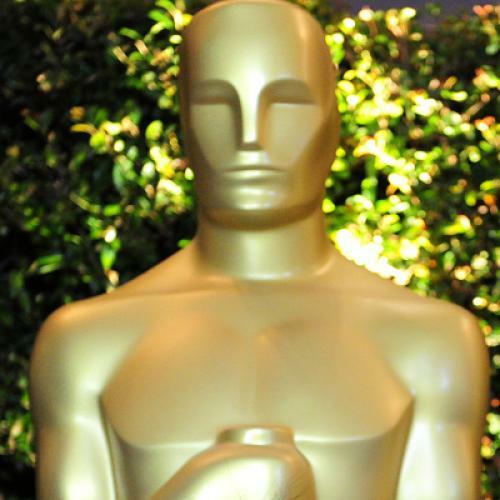 That library (named after its first librarian, Margaret Herrick, who is also supposed to have seen the drawing for the statuette and said it looked like her Uncle Oscar) is in jeopardy if the television deal for the Academy show sinks too far. Could that happen? Haven’t you noticed how network television is itself declining as a public attraction, yielding to the net? So how about the twelve saddest library closings of next year? It’s not that worthwhile and exciting films don’t exist, or win—it’s much more that there is no such thing as a winning film. (In 1954, The Country Girl was nominated for Best Picture, but not Rear Window!) Is the mania for lists and prize-giving linked to the remorseless slippage of this “best” country in areas where value might provoke critical thinking? So it’s sad that good critics have to take part in ten besting—and they do. (Why not eleven? There is a prejudice.) Their employers expect it of them, just as they await the day when the reviews are spicy, sizzling bites instead of essays. Go straight to the quotes and the ads? In the area of film it is an hysteria colluded in by the business and the media to prolong their diminishing life. Maybe that’s like the association between voting and politics in this once brave democracy. Election season is a prolonged commercial for a forgotten custom.